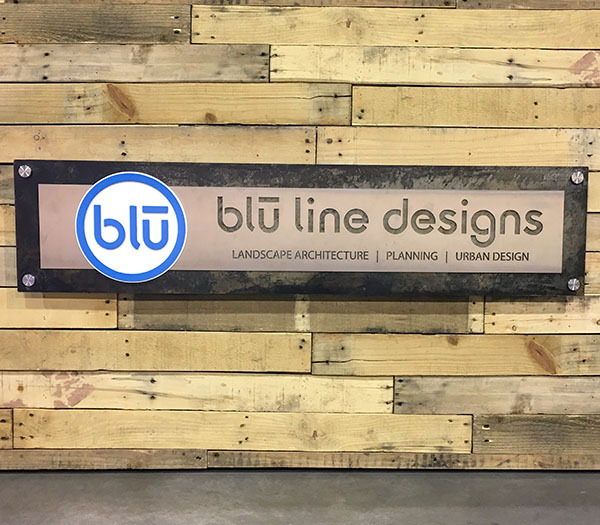 Blackened Steel can only be used on indoor signs. 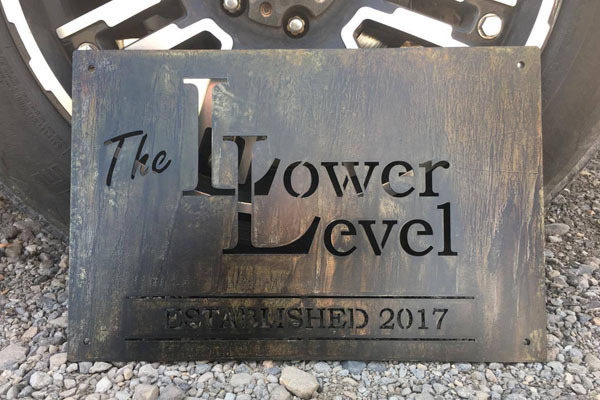 The blackened steel finish adds a unique look to your business or home. 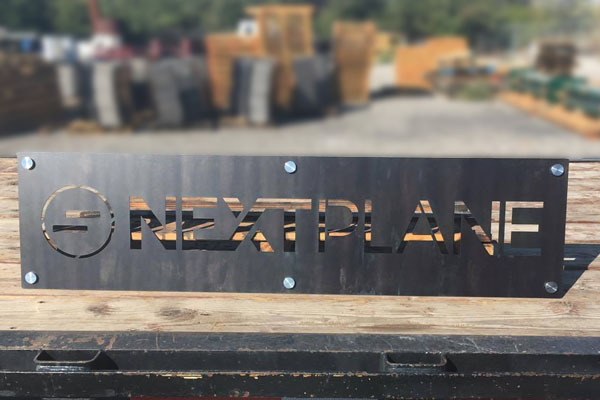 Blackened steel signs look beautiful on their own, but can also be layered with a powder coated or stainless steel metal plate. 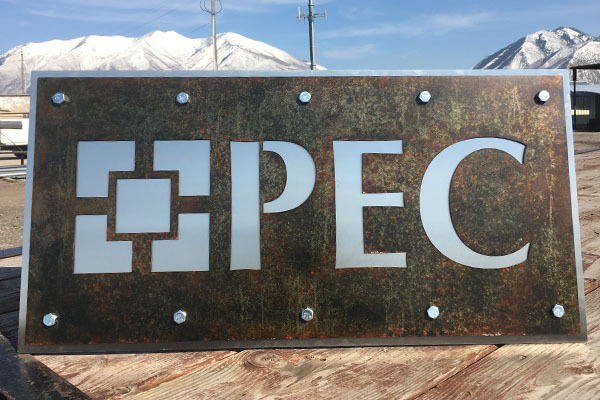 Be sure to give us a call at (801) 414-1724 to see if black patina is the right fit for your sign. 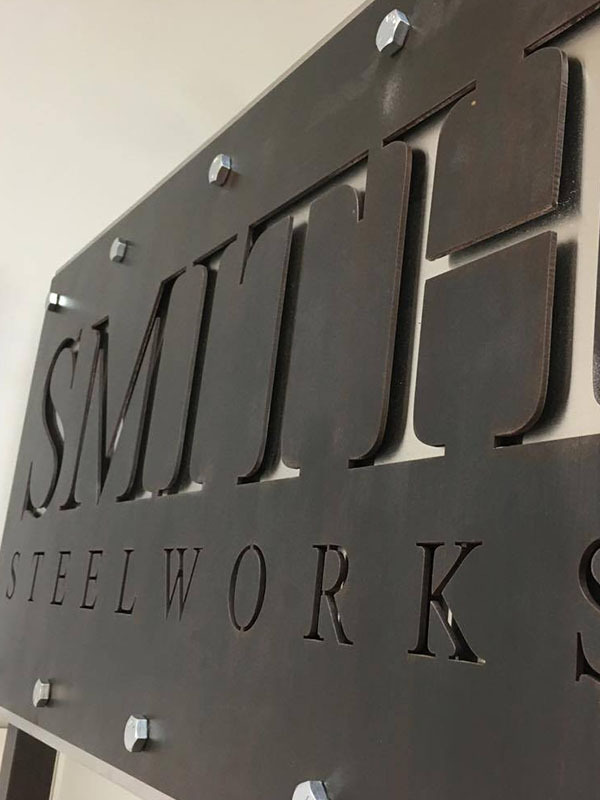 Every blackened steel sign takes on its own appearance and no two are alike. If you are looking for a uniform finish, powder coat black will be the best option. Please Note: the signs are only available for indoor installation. All outdoor photos were taken just before being shipped.